Gold is regarded and valued as a measure of prestige and wealth and has been sought after as evidence of abundance and power throughout history. However, gold has also played an integral part in regulating the earliest economies; which shows the real influence that this essential precious metal possesses. Gold is a soft, dense and shiny metal that is one of the most versatile metals in use. It is mined from deep within the earth and along creek beds. Gold is a highly malleable metal, and can be formed, cast, drawn into wire, hammered into sheets or shaped into rings and coins. There is an ongoing deficit between the demand for gold and actual availability. Savvy investors tend to seek gold as an alternative to paper currency, thus driving up its price. Historically, gold prices have risen when the U.S. dollar has been weak. 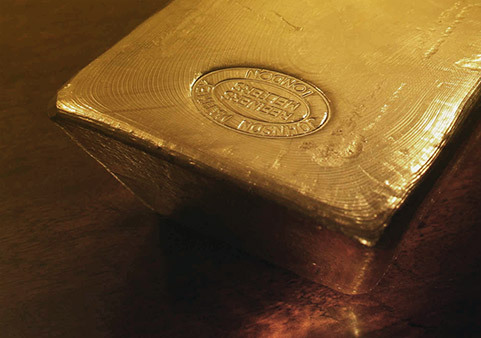 Gold prices are likely to rise as the demand for Gold in China, India and Russia grows. There are different ways to hold your gold investments. You can store in a fully insured secure facility, arrange personal delivery, or invest in an RRSP account. If you would like to add gold to your investment portfolio, get started here. Find out the latest news feeds, announcements and special events. Risk Disclaimer: All fabricated products are of hallmark refineries or government mints and subject to availability. Fill prices may vary based on actual time orders are placed and confirmed. All orders are final and subject to Terms and Conditions of the Customer's Account Agreement with Worldwide Precious Metals and Precious Metals International. All fabricated products for home delivery are quoted, basis specific product, quantity and delivery destination at time orders are placed and confirmed. Retail dealer prices may vary.